Week 16 – Special Guest Sh. 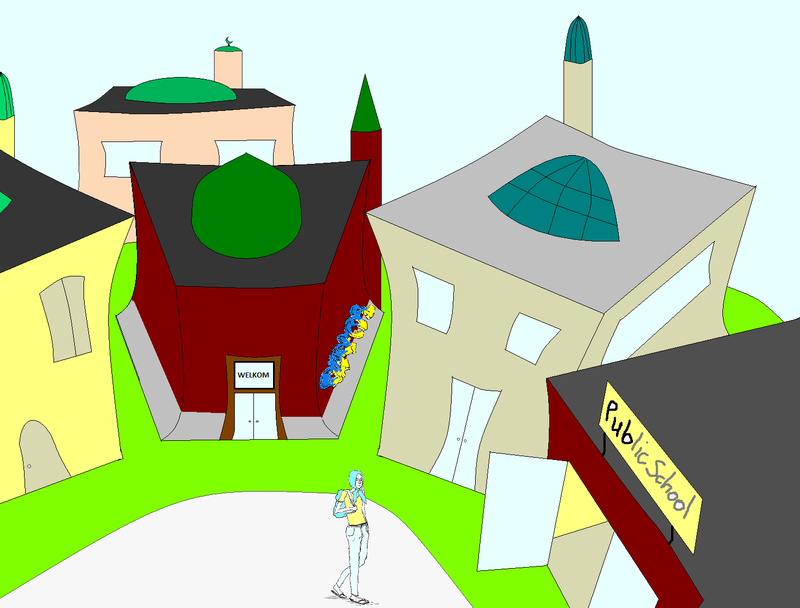 Ismail Batnuni on Ottawa Islamic School + What the youth really need and want + Tigers in Ottawa? Why do we have 7 mosque building projects, but we have no projects for building believers to attend these huge expensive mosques? We build these believers from the school age through to High School, Collage, and University. But who is preparing these future believers? The Public School? Sh. Ismail Batnuni will explain. Two weeks ago we told you that George Galloway the Banned Mp from the UK was going to speak to the Canadian Public regardless of the ban. Here is how he did it and what he had to say. Imam Siraj Wahhaj, the voice of Da’wah in the West was diagnosed with prostate cancer in March of 2009. Since then, he has been receiving treatment and needs help to pay his medical bills. He was there when we needed him; now he needs us! The Prophet Muhammad (peace and blessings of Allaah be upon him) said: “The relationship between one believer and another is like a structure, parts of which support other parts,” and he interlaced his fingers.” Agreed upon. And he (peace and blessings of Allaah be upon him) said: “The likeness of the believers in their mutual love, mercy and compassion is that of the body; if one part of it complains, the rest of the body joins it in staying awake and suffering fever.” Narrated by al-Bukhaari and Muslim in their Saheehs. This week’s tip: The power of Words. Registrations for the 10th Annual Zawiyah Retreat on Tazkiyat al-Nafs by Shaykh Mokhtar Maghraoui will on April 15th at 6pm. The popular retreat will be from June 13th to June 23rd. LUL: Friday night Aqeedah in Action, the topic will be: “The best of the best”, and it will be, as always, at the Ottawa main mosque right after Maghrib prayer in chaa Allah. The Islamic Society Of Cumberland will be conducting a 28 Week Comprehensive Weekend Course for brothers over 16 in a variety of areas including tafsir of short surahs, introductory tajweed, and the basics of faith. Classes start May 2nd at the Mussalah on Innes Rd. in Orleans taught by Imam Mohammad Badat. Purpose of Fearing Allah?, Why should we fear Allah? What our Youth today are like? Why are they far from deen? & Turning to Allah as a Youth. Time: Both Programs will start after Maghrib and will run until Isha Salat. b) The Centre for The Study of Islam at Carleton University, Ottawa. Week 14 – Is Sara Mohamed Fake? + Habitat for Humanity + What’s happening with George Galloway? + Are you ready for this…? Sara Mohamed may not be real. But does it really matter? We have heard from some that Sarah Mohamed may not even be a real person. Jennifer Green, senior writer of the Ottawa Citizen, said the paper had come to that conclusion and Sarah has never stepped forward to refute that allegation. This may simply be a result of “Sarah” being concern to identify herself publicly. While others have said that in fact she is a real person and may be simply hiding her identity. The bottom line is that it doesn’t really matter either way. Going to the citizen was not the best choice, nor the wisest. But then again we are talking about a “distressed youth”. So my question is; what to do now? We either accept what is in place, and live with it until things get better over time and people get into comfort zones, and things run smoothly. But is that fair? What about these youth who feel left out? How long do they have to wait to be heard and how long until they feel some connection to the mosque? How long until the antics and unilateral decision a few will affect the community at large? As we said yesterday Muslims should be taking action. For the benefit of our community, our youth, and our responsibility of being a powerful voice for the Canadian Muslim across the country. Vote if you have the opportunity, become a member of the OMA, and don’t just complain. Pick up a pen to vote, right an email, or start painting the walls. But don’t sit back and whine. Back in October a Muslim family broke ground with establishing their new home with the help of Habitat for Humanity. Well, there is some more good new on this. If you’ve ever wanted to have your try at building a house or simply wanted to give back to your community this next project is for you. Habitat for Humanity is planing to have a faith-build where people from different faith participate to help out the needy of the community to establish a home. The beautiful thing about this is that it is a contribution of the family, the community, interested businesses, and you to help out. What’s even cooler than all of this is that the home is sold to the family at well bellow cost, and with an (brace yourself for this…) interest free loan! That makes this home have more barakah, and be more halal than many of the homes we live in. Out of 30 homes established in Ottawa, 5 house Muslim families. So, rally your local Masjid to come up with the funds to send five or ten people to help build one of these homes and really contribute to building a community. 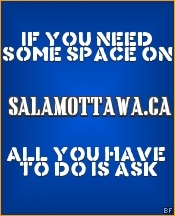 If you are interested and need some guidance or help checkout salamottawa.ca/about/communityprojects/h4h/ or contact us at community_outreach [@] salamottawa.ca. George Galloway to speak in Ottawa in spite of the ban on his entry to Canada. [Canadian Press] TORONTO – A court decision Monday upholding a ban on George Galloway from entering the country amid allegations he engaged in terrorist acts will see the British MP deliver speeches to Canadian audiences via a live video link from New York. Following the Federal Court ruling, organizers of Galloway’s now aborted speaking tour said the maverick politician would not attempt to enter Canada. “We’re not interested in doing anything illegal whatsoever,” said James Clark, a peace activist and one of the speaking tour’s organizers. Galloway had been set to visit Toronto on Monday, the first of four scheduled speaking engagements in Canada. However, Justice Luc Martineau ruled Monday he was not in a position to allow Galloway into the country although he did say there were “serious issues to be tried” if the judicial review occurs. The decision represented a “partial victory” in that the court did recognize there was a serious issue at stake, Clark said. “We want to pursue and examine all the questions that have come up about how and why the (border agency) preemptorily issued this ruling of inadmissibility to Mr. Galloway,” Clark said. Supporters were also concerned about alleged political interference from Ottawa in light of comments by Immigration Minister Jason Kenney, Clark said. Kenney has said he did not ask the border agency to rule on Galloway’s admissibility, but would not use his ministerial power to overturn their decision. Galloway planned to deliver his speeches to Toronto, Mississauga, Ont., Montreal and Ottawa this week from a studio in New York City. In the letter to Galloway, the government said he had given $45,000 to Hamas, which is a banned terrorist organization in Canada. Under Canada’s Anti-Terrorism Act, it is an offence to knowingly participate in or contribute to any activity of a terrorist group. His supporters say Galloway had given money to the head of the government in Gaza but not to the head of Hamas, even though they are the same person. Canadian Jewish Congress CEO Bernie Farber said the fact Galloway would still broadcast what he had to say showed that free speech was not at stake. Salam Ottawa will be one of the distributors for tickets for this event. Please fill in the form bellow with away to contact you and how many tickets you need and we will be able to delive it to you insh’Allah. What’s going on in Gaza? On the ground: years fo death and sorrow. Is Boycotting Israeli Products and Services Useful? Oh, Yes! See this Link to find out real world numbers of how boycotting Israel is hurting them where it hurts Zionists the Most. An appeal from one of our dedicated listeners: “Israel is displaying its MADNESS with this massacre. The death of our brothers and sisters have been reduced to a number. A number that continues to increase far too quickly. These are not cheap lives. My daughter sleeps soundly in the next room. If she makes a sound I run to her side to make sure she’s ok. My husband’s late from work, and I’ve already called him twice to make sure he’s ok. My family lives in another city, I call them almost every day to make sure they’re all ok. The deep love I have for them is the same limitless, undying love that our Palestinian brothers and sisters have for their family members who are DEAD or DIEING or forever WOUNDED. Reports from the ground say thousands gathered at the steps of parliament hill January 3, braving the cold with their babies, elderly, women, and children in solidarity with their brethren in Gaza, who are braving much more than the cold. “He can see ground-to-ground missiles,” Says Mr. Shaban, a demonstrator on January 3, about what his friend in Gaza is seeing. “He can see Palestinian civilians lying on the ground dead. There is no place for them in the hospitals. There is no place for the wounded. There are not enough ambulances. There’s no food supplies. Members of the public have an opportunity to provide written submissions to The Canada Industrial Relations Board regarding the impact of the OC Transpo strike. Please note that all written submissions must be received at the Canada Industrial Relations Board no later than 5:00 p.m. on January 9, 2009. It is important that you have your voice heard as the union just may vote to stay on strike thus forcing The Canada Industrial Relations Board to order OC Transpo back to work. Details on how to make the submission in English and French. The headline, “Thousands turned away from Ottawa women’s shelters,” on the front page of the Oct. 7 issue of the Ottawa Citizen has elicited shock and concern. Many question how it is possible that over 5,000 women seeking safe haven are turned away each year from local women’s shelters. As shocking as this number is, it is an incomplete picture. Many of hese women who are turned away have children. If it is difficult to find a bed for one woman, imagine how difficult it is to find multiple beds for a woman with five children. We are not only turning away women—we are also turning away their children. In some cases temporary shelter is found for women who escape violence with their children, however other children are being condemned to remain in homes that are not safe. Children are being reared in homes that are infested with a societal disease called violence. This disease has infected our community and it threatens the future of our nation. Violence against women when witnessed by children is also child abuse. Additionally it is a drain on our community’s human, financial and future resources. Without community support, children who witness such violence may be caught in a cycle that leads them to believe that violence is the most effective communication tool. Whether these children grow up to become victims or perpetrators of violence, the larger community is deeply affected. Yes, it is shocking that thousands of women are being turned away from shelters. What is also appalling is that children are the silent victims in the shortage of shelter beds. These children do not have safe and nurturing upbringings, yet we as a community expect them, by some miracle, to grow up to be contributing members of society. According to Statistics Canada,domestic violence affects 7 per cent of women and their families in Ontario. Over 800,000 women in Ontario living in a common-law or marital relationship experienced physical and/or sexual assault by a spousal partner at least once during 2004 to 2006. And when we speak of violence against women, we are also speaking about the effect that violence has on their children. Children witness abuse in 40 per cent of violent relationships and 100 per cent of these children are impacted by the violence. If as a community we are unable to ensure the safety of every woman and child, then we need to invest in services within our community to support them. It is time to speak up for healthy homes, healthy communities and safe places for women and children. Our future—our children—depend upon it. Community Reviews: Brand New Halal Restaurant on 230 Herzberg Road Just off of Carling Avenue. Food type: Indo-Pak-Chinese Buffet. Price: Excellent. Features: Huge place, Comfortable, NO Alcohol! Excellent for families, and large groups. Menu: Lots of Items to choose from. Includes typical Indo-Pak-Chinese menu with a little bit of Thai. Current Salat times in Ottawa Click the link above to see prayer (Salat / Namaz) times for Fajr, Duhr (Zuhr), Asr, Maghrib, and Isha in Ottawa.